The 2014 second full length album from Pennsylvania’s MAUSOLEUM. Back From The Funeral continues the apocalyptic attack launched by this zombiecult death metal band. 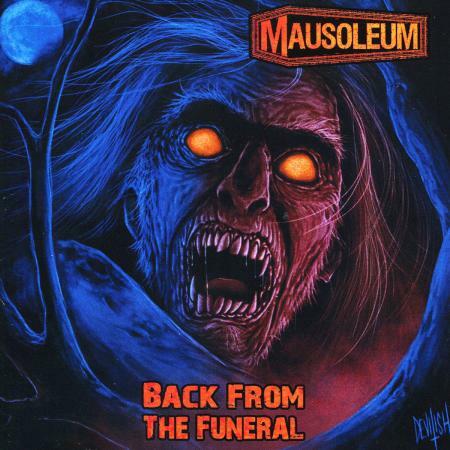 Mausoleum continue in their worship of cult horror/gore films set to sound of old school brutal death metal. The band will rob your grave, bring you back from the dead and feed you your own entrails! For those who worship Autopsy and Impetigo. Features current and former members of TYPHUS, INCANTATION, ENGORGE and MORPHEUS DESCENDS. Imported from Poland.